World number one para cyclist Carol Cooke rides home in glory once more after bagging double gold in the Rio 2016 Road Race and Time Trial this week. 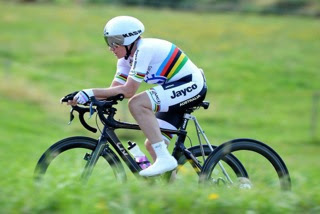 The 55-year-old rode against top cyclists in the T1-2 Time Trial and finished at 26:11 with a good 30-second lead ahead of the USA’s Jill Walsh and Canada’s Shelley Gautier. She also clocked a spectacular Road Race timing at 1:07:51, beating silver medallist Jill Walsh by 17 seconds. Cooke was fifth when she completed the first lap at the 15km mark and bid her time to go blazing for the gold. The now triple Paralympic gold medallist is one of the most established para-athletes among the Monash alumni, making history when she won the Mixed T1-2 Time Trial in the London 2012 Paralympics. 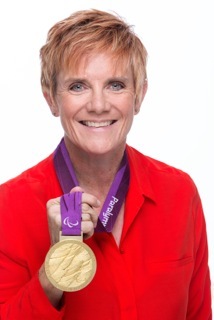 It was her first Paralympic medal and she was 51 years old. Cooke suffers from multiple sclerosis (MS) and road cycling is her third competitive sport, after swimming and rowing. The Victorian Finalist in the 2015 Australian of the Year is an inspiration for many, defying what the doctors said when they gave her diagnosis – that she would never play sport again. Cooke was actually wheelchair-bound but exercise and determination to stay walking helped her fulfil her daily resolution – to “live life fully”. “Dare to face your fears and believe in yourself and you can accomplish anything,” she said. The Monash Bachelor of Logistics, Materials and Supply Chain Management graduate is a motivational speaker and author outside of competitive cycling. She published her autobiography, “Cycle of Life”, in April last year. Cooke not only rides hard on the road, but drives home an important message to raise awareness for MS. The six-time Road World Championship medallist initiated the MS 24-hour Megaswim which funds the MS Go for Gold Scholarship. “It is an amazing and fun event which raises money for a great program at MS, giving people with MS the opportunity to follow a dream, just like I am doing now,” she said. Monash has run the Megaswim for six years and raised over $100,000 for the scholarships. The upcoming Megaswim is taking place as part of the Monash in Motion: International University Sport Festival on 24 September and anyone interested can register for the event here. This may be Cooke’s last Paralympic appearance but we are excited to see what else this gutsy athlete is gearing up for! Get this delivered to your email!